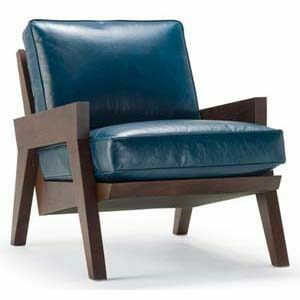 This contemporary wood accent chair is a timeless, and is sure to add elegance to your decor. 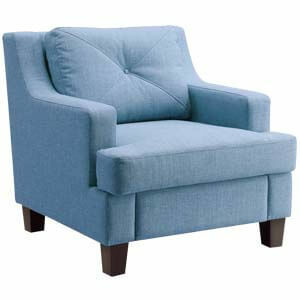 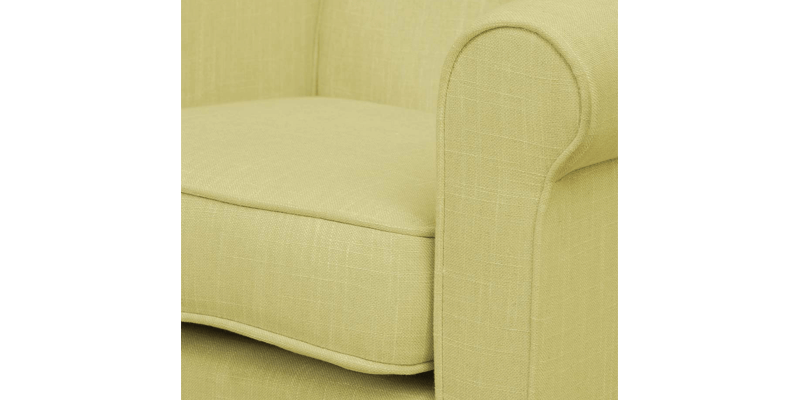 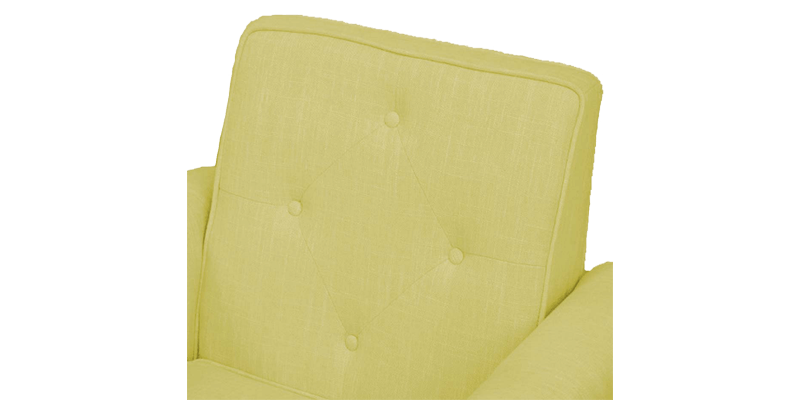 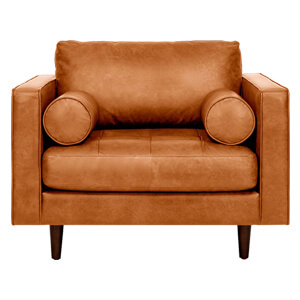 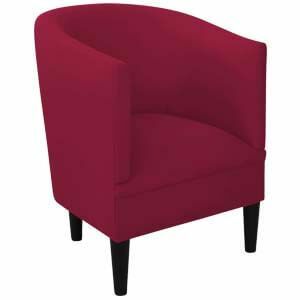 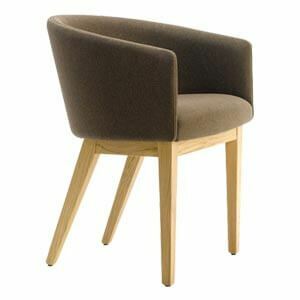 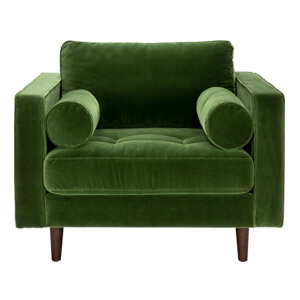 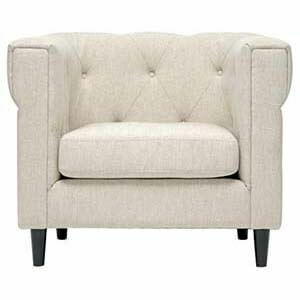 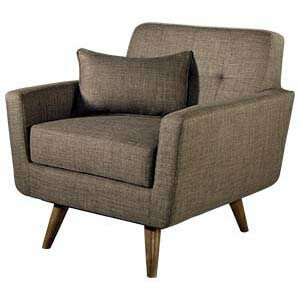 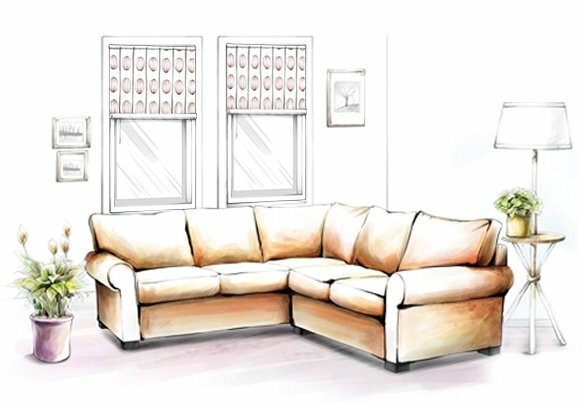 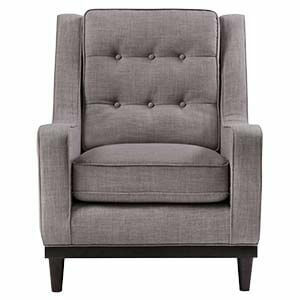 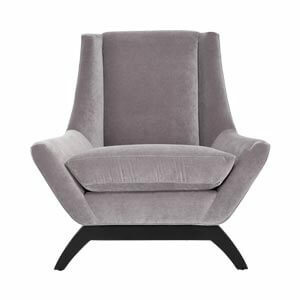 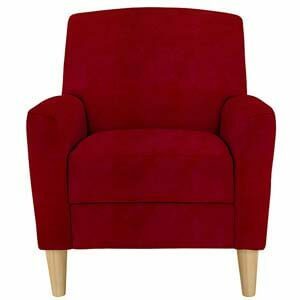 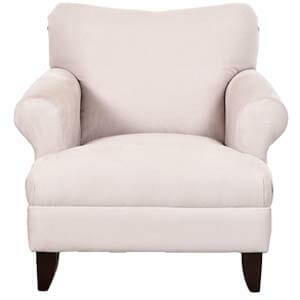 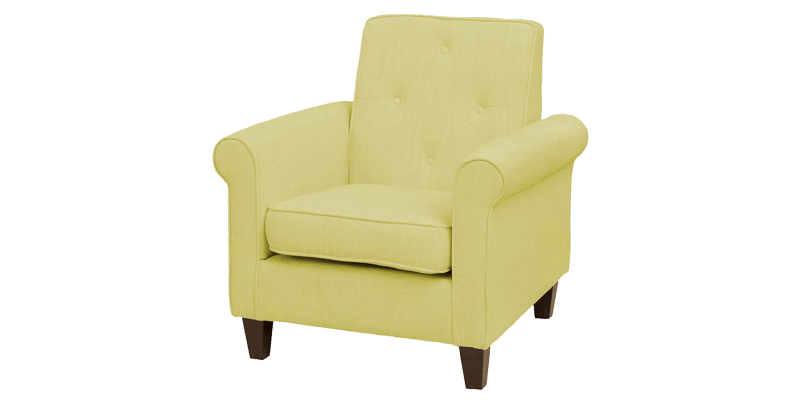 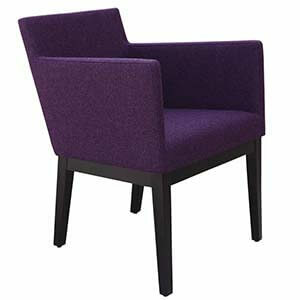 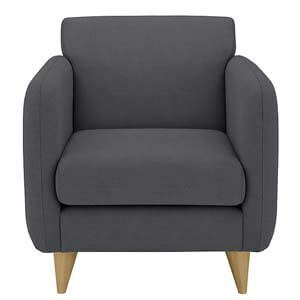 Featuring single tufted buttons, curved arm rests, piping, and a wood frame that rests on tapered legs. 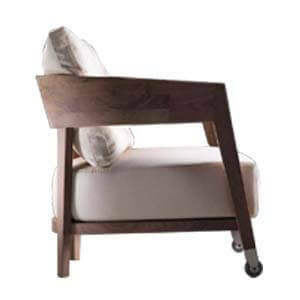 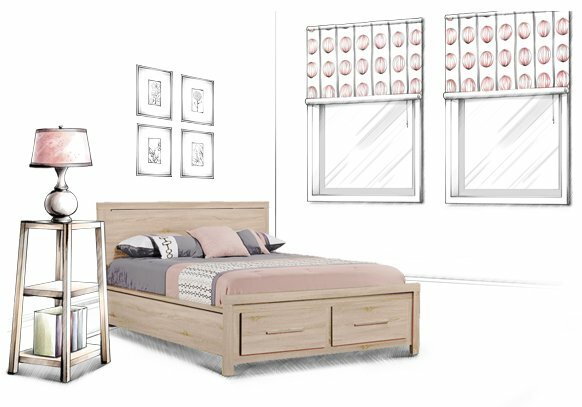 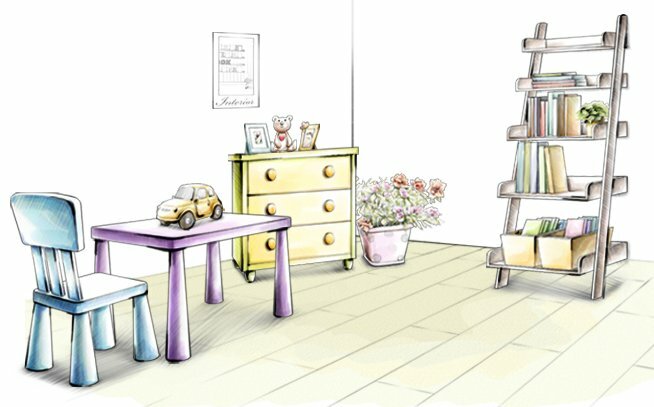 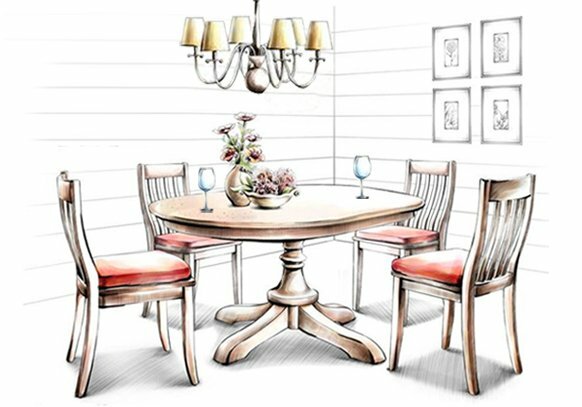 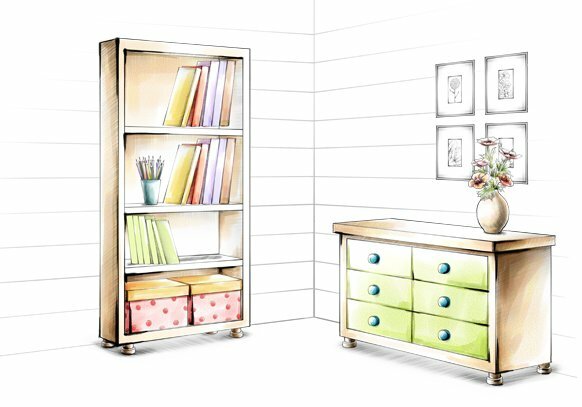 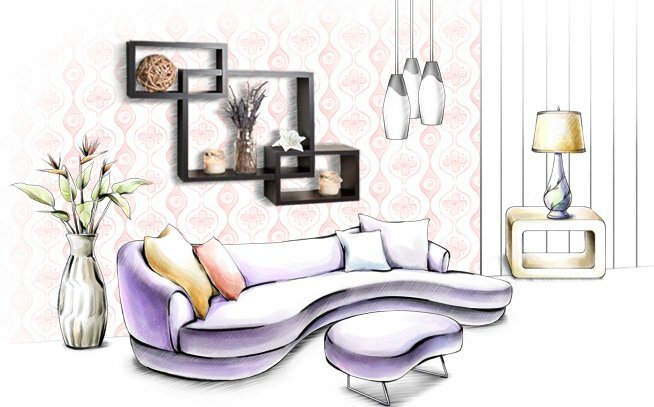 This handmade furniture allows for comfortable family seating.